Why Choose Us? Schedule Free Inspection! The Monarch Roofing team offers expert roof installation, roof replacement, roof repair, and more. With over 100 years of combined roofing experience, you can rely on us. Metal roofs are a durable and long-lasting residential roofing option which is both aesthetically pleasing and dependable. Monarch Roofing can install one for you today. 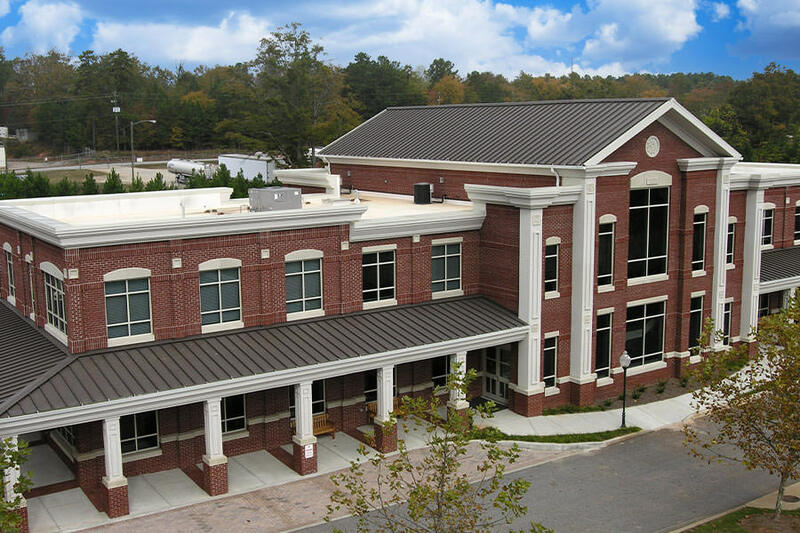 We are proficient professionals in commercial roofing installation and repairs. Whether it be TPO, PVC, EPDM or Modified Bitumen, we’ve got your business covered. 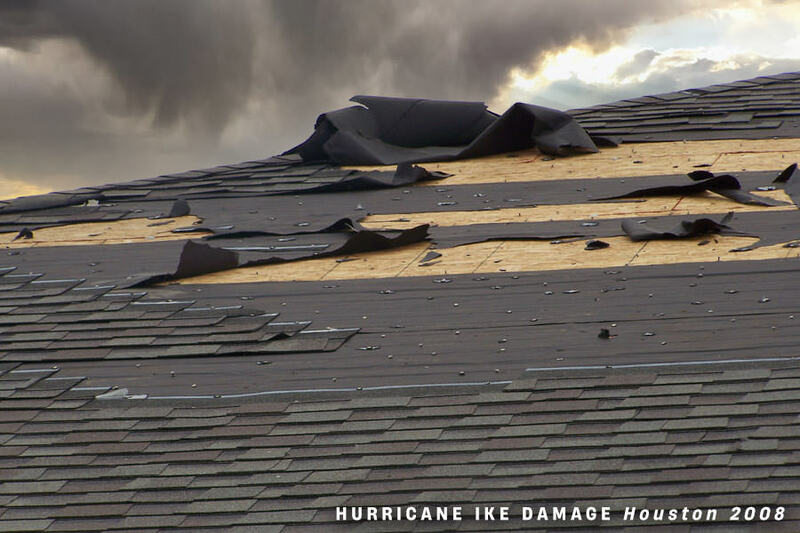 Repair your roof with Houston's top professionals in Roofing Repair featuring our "No-Worries Roof Repair Rebate™"
Monarch Roofing are New Roof Installation Experts also specializing in Roof Repair featuring our "No-Worries Roof Repair Rebate™". Guaranteed Premium Service at Affordable Prices. Contact us today for a free roof inspection. With years of combined experience in residential roofing, roof repair and commercial roofing, you can rest assured your roof is in good hands. Our experienced and knowledgeable roofing contractor team is comprised of skilled staff and roofers who are educated in the latest roofing technologies. Our goal is to deliver excellent craftsmanship on each project performed. Monarch Roofing company specializes in new roof installation, roof repair, and roof replacement for both residential and commercial. Offering a vast selection of roofing shingle types and colors along with different roofing materials like asphalt shingles, tile roofing, metal roofing, PVC, EPDM, TPO and Modified Bitumen, you are bound to find the perfect roofing for your home or business. With over a 100 years of combined roofing experience you can rest assured your roof is in good hands. Our experienced and knowledgeable team is comprised of skilled staff and roofers who are up-to-date in the latest roofing technologies and roofing materials. Our number one goal - deliver excellent craftsmanship and value on each project performed. Give your home a new image with Monarch — We Have You Covered. The comfort and safety of your family is important, so having a secure and reliable roof is necessary. Monarch Roofing excels in repairing, installing and maintaining residential roofs along with working with your insurance company to get the best roof for you. 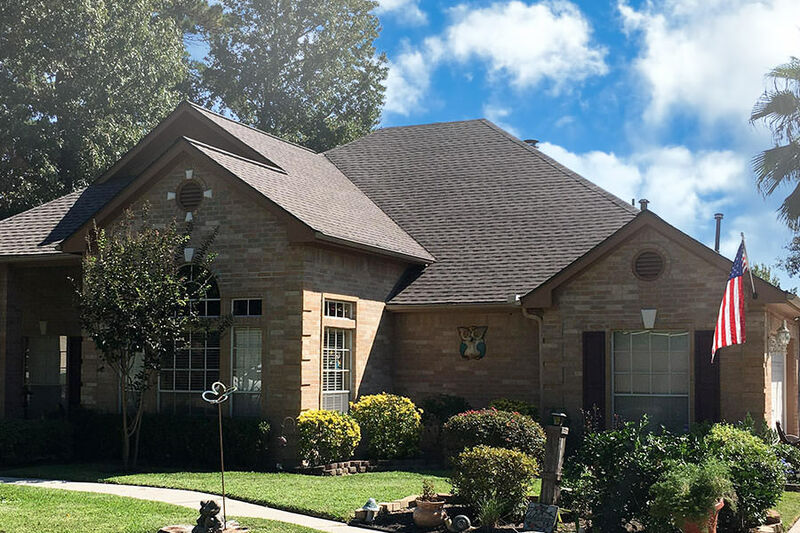 If you're not ready for a full new roof installation, no worries thanks to Monarch Roofing's exclusive "No-Worries Roof Repair Rebate™" Program. We'll fix leaks and any damage your roof has sustained due to weather and age in order for your family to rest assured that they're protected. Your business is your life and protecting it from the rain, storms, extreme heat - any weather issue is key. Even beautifying your storefront with custom roofing can help bring you more business. Monarch Roofing’s experienced and qualified team of roofers can provide your business what it needs and within your budget. Whether you want a new roof installation or are in need of roof repair, our team can provide you with premium grade roofing materials and top-notch service. I just got off the phone with Shane regarding a possible roof replacement. It was by far the most professional and engaging experience I have had thus far with talking to roofing companies. He took the time to listen to me and was very honest about the possibilities of filing a claim and what it was going to take. There was no sales pitch but real and honest discussion. He even went so far as to inquire about my personal life a bit. Monarch is going to come by to take a look at our roof to see what can or cannot be done. Regardless of the outcome, if the roof cannot be claimed now, I will be looking to Monarch in the future and know this is the company I need to use for our roof repair(s). For anyone looking for an estimate and honesty, this company sure seems to have it from the get go. Kudos to Monarch and Shane for a great first impression! We had a large tree branch fall our our roof and needed an immediate inspection. I called Monarch Roofing and they were out within a couple of hours, provided a full assessment, pricing, and made the repairs the next day. They sent pictures, were in constant communication, and put me at ease during a stressful event. I would recommend them to anyone in need of roof work! We can't possibly give this company enough praise. Jay is a very stand-up guy who does his best to help everyone. They are very neat and tidy...you can't even tell they've been there. We wouldn't hesitate to use him again. I had a fantastic experience with Shane at Monarch Roofing Company! Shane and his workers did a fantastic job, were friendly, helpful and very hard working. I am 100% happy with the quality of work and would use this company again without hesitation. They really go above and beyond at the company and deserve your business. This company knows how to provide great customer service. Shane did an outstanding job and because of his superb customer service I will recommend this company to everyone! Bill R. from Monarch was extremely helpful and his crew did a great job installing my new roof. I appreciated Bill because he was onsite during the install to help answer my questions and making sure the job was done right. I had the roof inspected after the install by a third party and they confirmed it was a great install. With so much going on for all of us with the restoration I wanted to take the opportunity to give special thanks. We had a leak in our roof, I sent a contact form and there you were. Tucker was in charge and he went on the roof, took pictures, explained everything to my mom (Sally, homeowner). He answered some questions I had about just the overall condition. He came back a few days later to get the job done, quickly, right, courteously and those with him were just as well-informed. I appreciate this kindness. The price was within the range given and we have had no problems so far. YAY! Thank you for the excellent courteous and timely service. Just the like online states WORRY AND HASSLE FREE! Something for me to aspire to as well. Many thanks. I would HIGHLY recommend Monarch Roofing to anyone that has a roofing issue/replacement. Very professional and respectful team. My roof looks amazing and the yard clean-up looks as though no one was here this week replacing a roof. I especially like the fact that Blayne was here numerous times during the two days it took for roof installation talking with roofing foreman/crew and picking up debris and nails. It was for gutter work, jeff organized the crew. They worked for some water damage, it was an excellent job. It came out better as expected. Will recommend them to other member, and will definitely hire them again. Shane and his team were very professional and performed the work on time and as expected. He even provided text message pictures of the install progress, and of helpful ancillary finding only visible from the roof. He also stands behind his work, and has come back to make touch ups when minor drips were detected after storms. Highly recommended. Monarch was great! We called them on a Tuesday afternoon; Blayne Mounger came out the next day and gave an estimate on fixing one leaking section of the roof. We called him later that day and asked him to come back to give an estimate for more extensive areas of the roof. He came back the next morning, inspected the interior and exterior of the roof, patiently explained that the leaking was coming from rusty screws as well as an inadequate eave, and proposed a solution involving replacing rusty screws and recaulking in four areas, extending and shingling an eave, and replacing a rotting door and frame and surrounding wood. The price was great, and he even made a point of installing a new lock where there wasn't one. He finished it on a Saturday and wrote up a report with photos on a Sunday. I'd definitely hire them again. Our focus is on top-quality residential and commercial roofing with first-class customer service. We use only the highest quality roofing materials and experienced skilled labor to provide superior craftsmanship on each Houston roof. We pledge to meticulously oversee the details of each job with service that is responsive and dependable. Whether you need a roof installation or just a roof repair, you can trust Monarch Roofing to get the job done right. All Content Copyright © 2010-2019, Monarch Roofing, All Rights Reserved.